It is a lovely virtual day in Daytona where. 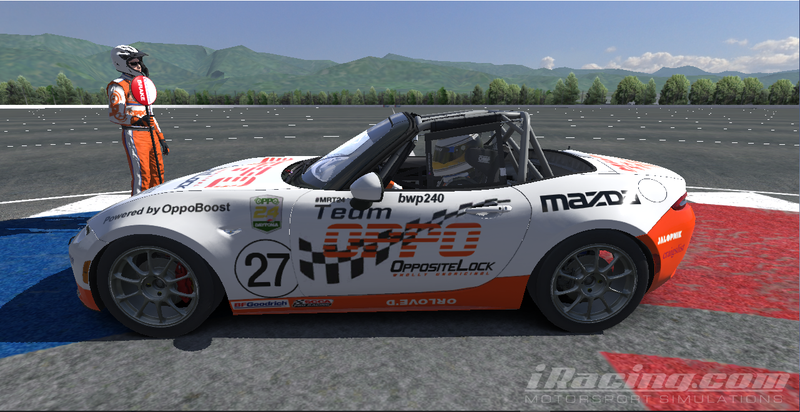 Team Oppo starts its first race in the Oppo Miata in iRacing’s Roar Before the 24. Car is set and strategy is planned; internet and server issues seem to be plaguing everyone today. Hoping all goes well.